Koenigsegg Archives - Muscle Cars Zone! 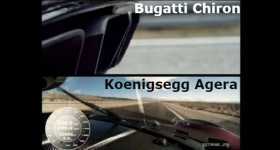 Koenigsegg Agera RS vs Bugatti Chiron! Direct Acceleration Comparison! Koenigsegg Agera RS Breaks 0-400-0 km/h Record! BYE BYE BUGATTI! 2000HP Koenigsegg V8 Engine In A Ford Granada! Believe it or not these guys has fitted this 2000HP Koenigsegg V8 Engine in a Ford Granada and they have test this old sleeper on the dyno. Up For AUCTION: Floyd Maywather’s Koenigsegg CCXR Trevita! $2.7 Million 1360HP Koenigsegg One:1 Spotted At The Goodwood Race Circuit! Why Does The Koenigsegg Regera Car Has NO Transmission? This Video Has The Answer! 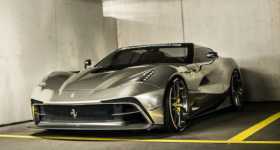 The Ultimate Hypercar Comparison: Koenigsegg Agera R vs. Ferrari 458 Italia! 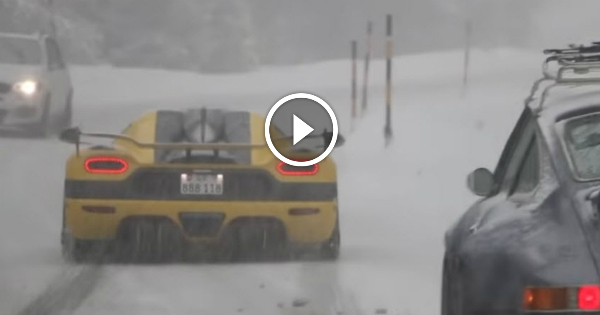 Koenigsegg Agera RS ML Conquers Winter In The Snow-Covered Swiss Alps! Stunningly Beautiful Yellow Koenigsegg Agera RS Has An ENGINE PROBLEM In Milan!